By it's low weight the BalsaCarbo X5 offers much control and makes a variable block play much easier. Above the table returns with much feeling are possible. Due to it's two Carbon layers the BalsaCarbo X5 never lacks the necessary power to set up a good offensive play. 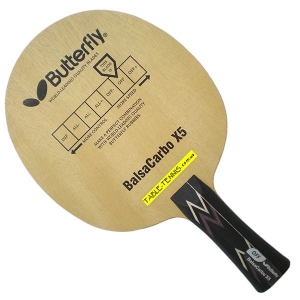 Touchy spins from half-distance as well as powerful strokes close to the table without much effort are possible with this lightweight.